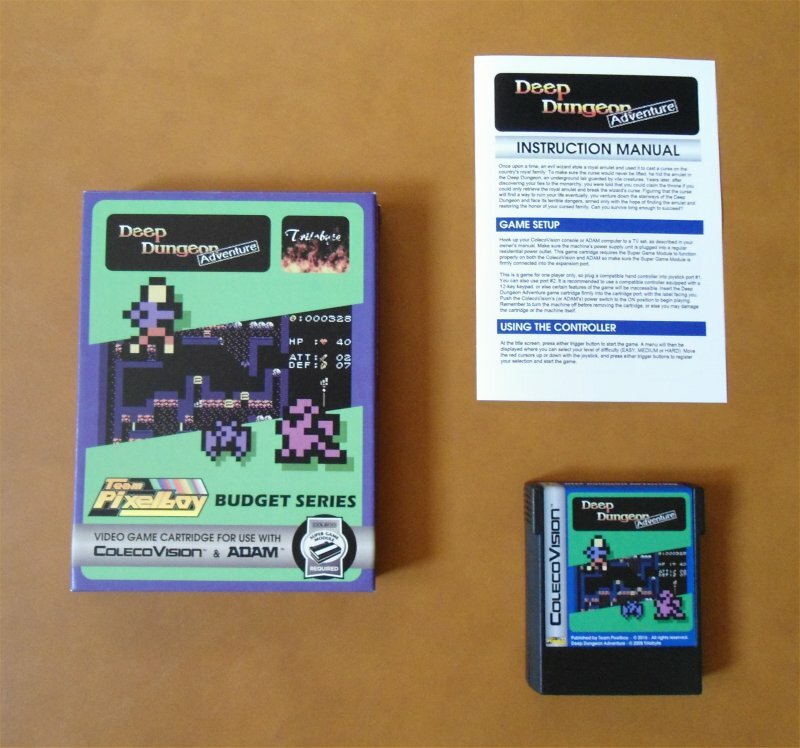 I wanted the budget series to cover a wide range of game genres, and I really wanted to have at least one RPG included in the series, so back in May 2016, one homebrewer I contacted was ARTRAG on the AtariAge forums, concerning his MSX game Deep Dungeon Adventure which he had submitted to MSXdev'08 (and won first prize for it!). 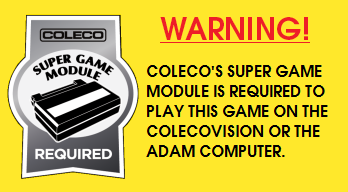 I was quite pleased when he accepted my request to publish the game as part of the budget series to help Óscar, and Óscar himself ported it to the ColecoVision afterwards. SPECIAL THANKS: Tobie St-Aubin, Tommy Boyer and Albert Yarusso. 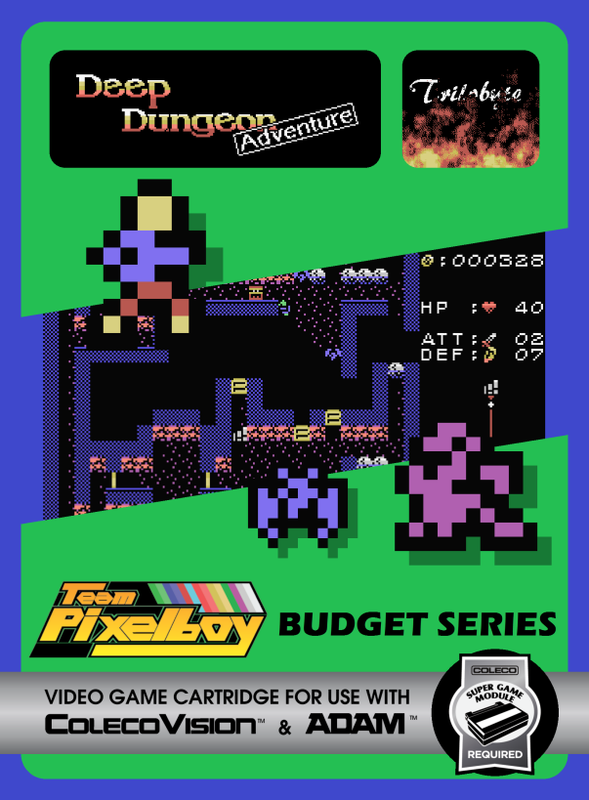 Here is a YouTube video of the ColecoVision version of Deep Dungeon Adventure.